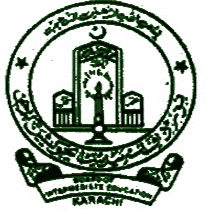 Karachi, Board of Secondary Education Karachi has announced the BSEK SSC-I&II annual exams 2019 date sheet. The candidates have already sent their BSEK matric part I & II annual exams 2019 in General and Science groups and the students will check the total and complete timetable of their papers. BSEK SSC-I&II annual exams 2019 will be started from 01-04-2019 to 18-04-2019 and BSEK SSC I&II practical exams 2019 will be held from 20-4-2019 to 30-4-2019. The students will note the date and time of the papers as the morning papers will be held in the morning time from 09:30 am to 12:30 pm while the evening papers will be held from 02:30 pm to 05:30 pm. You Can Get BSEK Matric Revised Date Sheet Here.